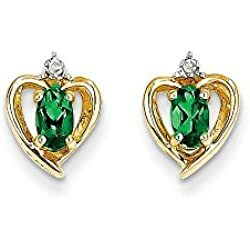 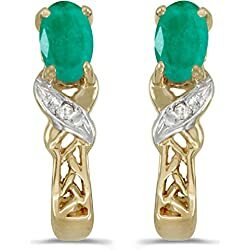 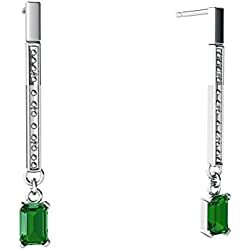 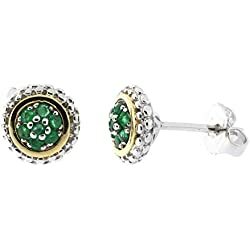 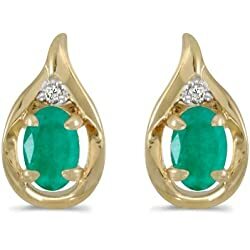 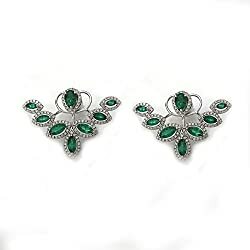 Emerald earrings are one of the most wanted jewelry by women. 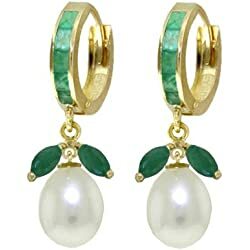 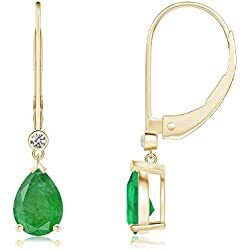 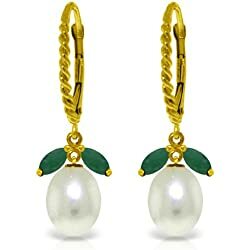 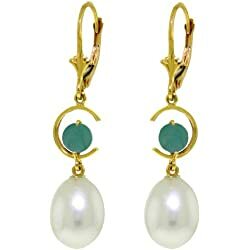 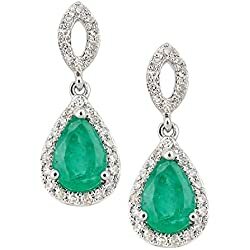 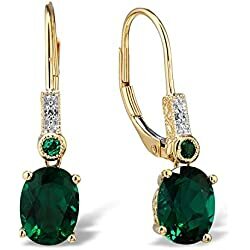 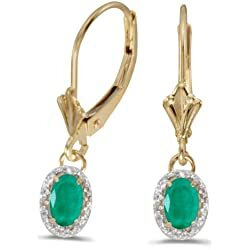 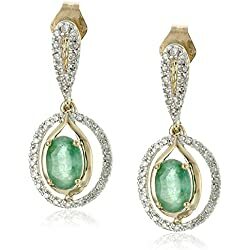 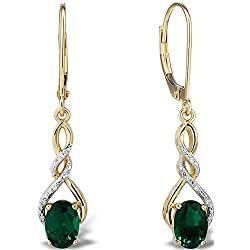 Sometimes beautiful Emerald earrings appear on the red carpet worn by a celebrity like Angelina Jolie or Jennifer Lopez. 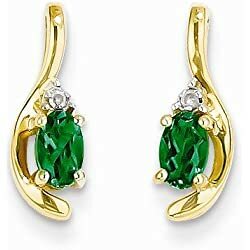 Emerald earrings are the perfect jewelry to give light to your face, capturing attention and compliments. 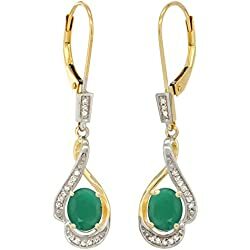 Browse our huge selection of Emerald earrings handmade crafted by expert artisan and exclusive Maison which proposed the most attractive green precious stone at an affordable price. 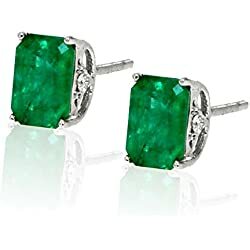 Halo Emerald and Diamond Stud Earrings 14kt White Gold 2.12ct. 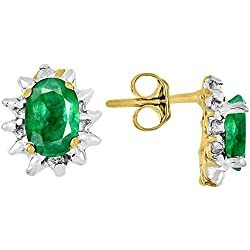 14k Gold Gemstone and Diamond Stud Earrings, Birthstone. 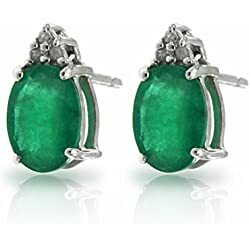 Emerald is one of the four precious stone like ruby and diamond, it is considered an expensive stone, especially when naturally transparent and when display a vivid green color, well saturated and deeper. 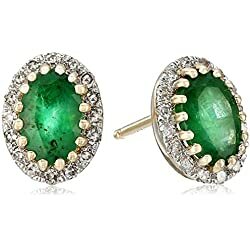 Emerald is perfect to wear at an elegant party because emerald is usually considered a fragile gemstone for a ring or a bracelet, but it is perfect to be set into earring far away from hurts which can damage the precious stone. 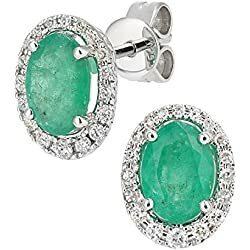 Emerald comes from the Beryl mineral family, which includes, aquamarine and morganite and other colored stones. 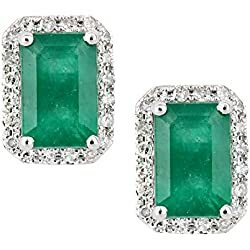 Emerald is the only beryl gemstone variety included in the group of precious stone, it has a hardness of 7,5/8 on the Mohs scale, under sapphire, ruby, and diamond. 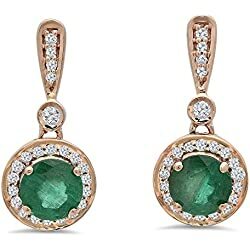 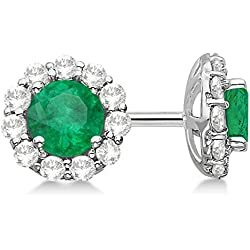 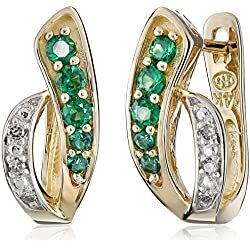 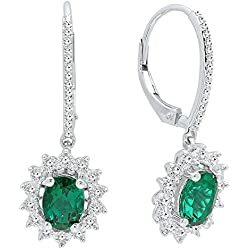 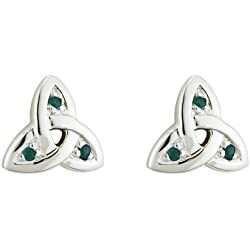 Emerald earrings are amazing when crafted in yellow or rose gold, but they look beautiful also in white gold, platinum or silver, especially if they are accompanied by some diamonds accents.